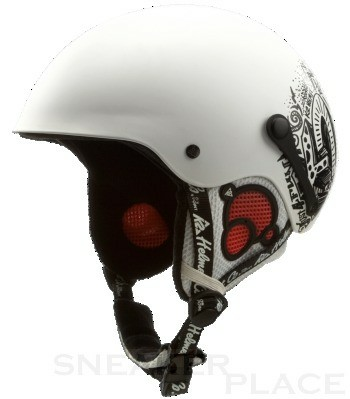 This hard-shell helmet for kids is unattainable for comfort, a lot of resistance and offers great value for money! The easy-to-use K2dialed Fit System ensures a secure and comfortable fit, while the practical bilateral Skibrillenbefestigung provides additional comfort. The Shadow 2010/11 is based on a revised hard-shell construction and scores with a reduced weight (480g) and a closer look. This system is based on the lining, because this is not only removable and washable so, but also continuous. This ensures optimum fit and a comfortable fit This reduces slippage and provides a perfect shape all day. The ear flaps keep your ears warm on cold days and on warmer days they can be removed. This design provides comfort, warmth and security. With this helmet, the goggles are attached on both sides of the helmet. This prevents the slipping of the glasses in the neck, so that more security is available.